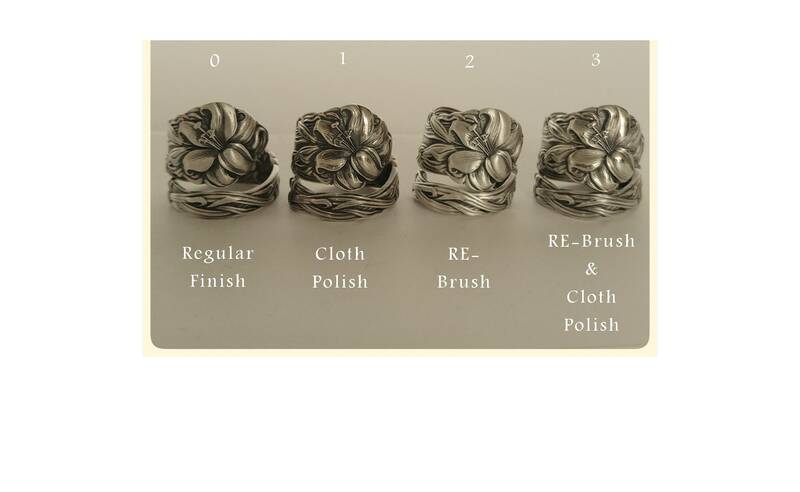 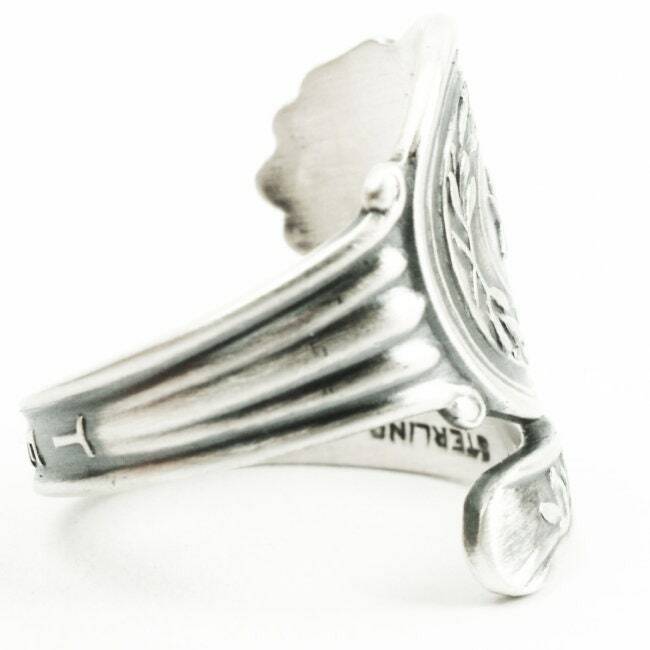 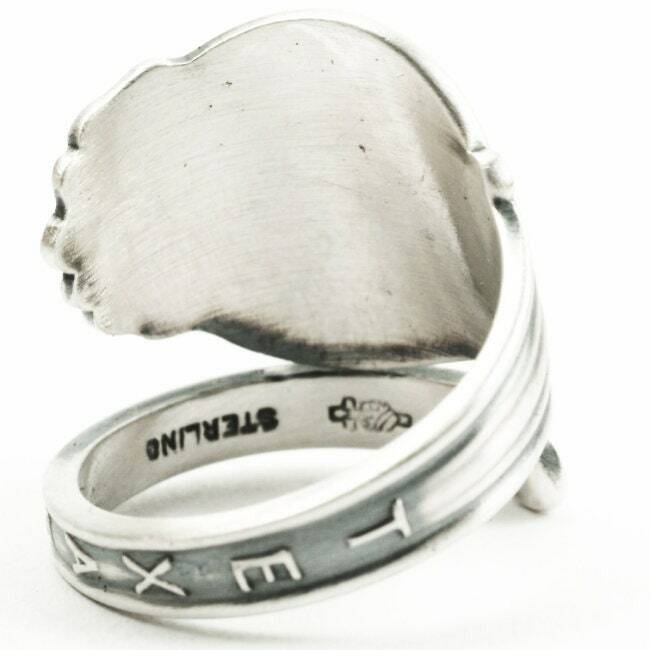 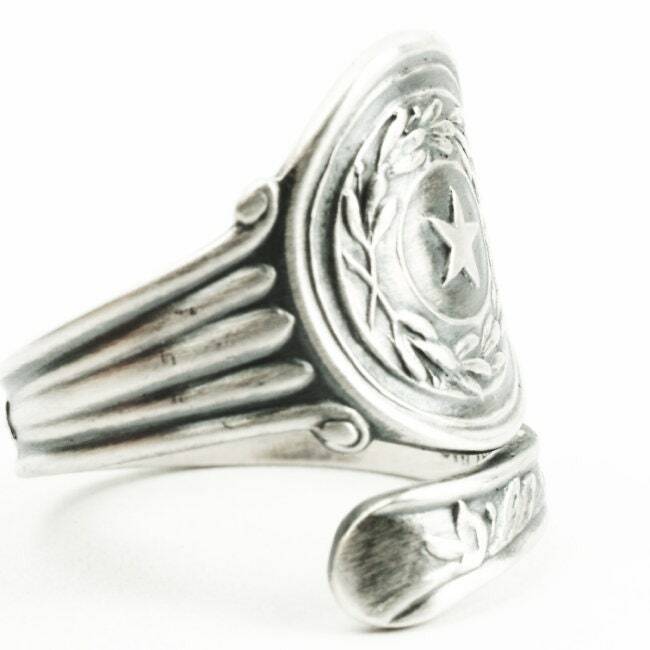 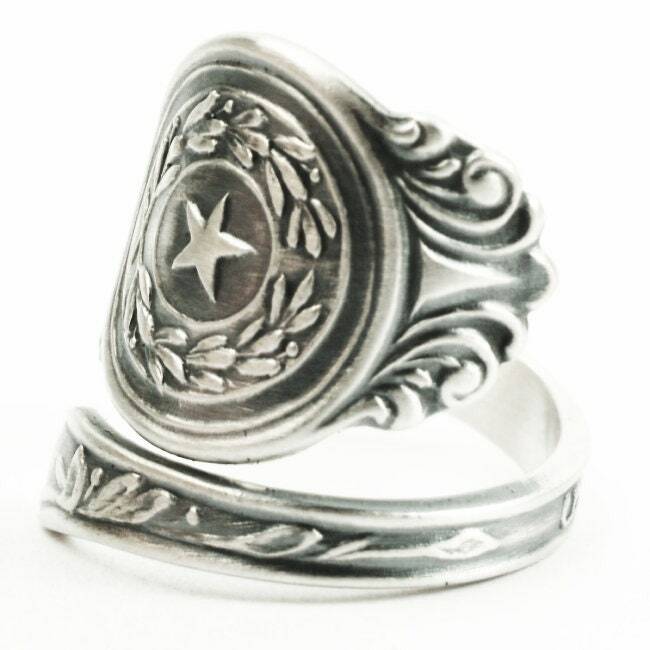 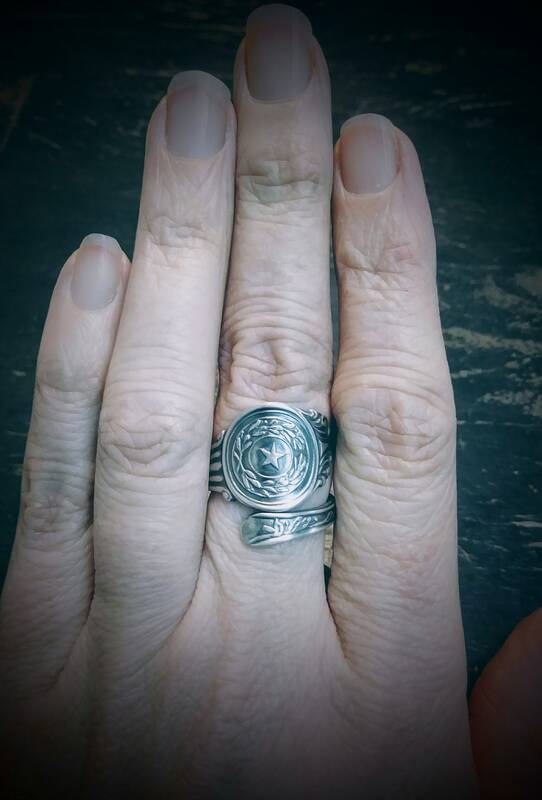 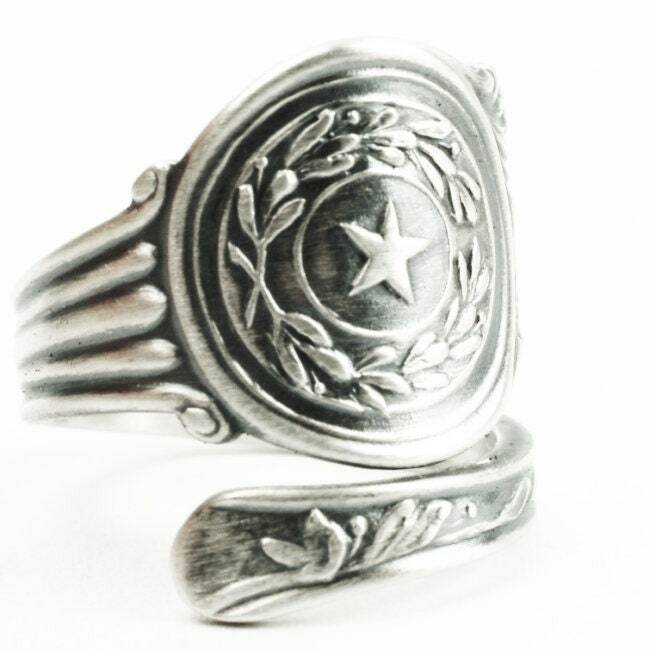 Texas State commemorative sterling silver spoon ring! 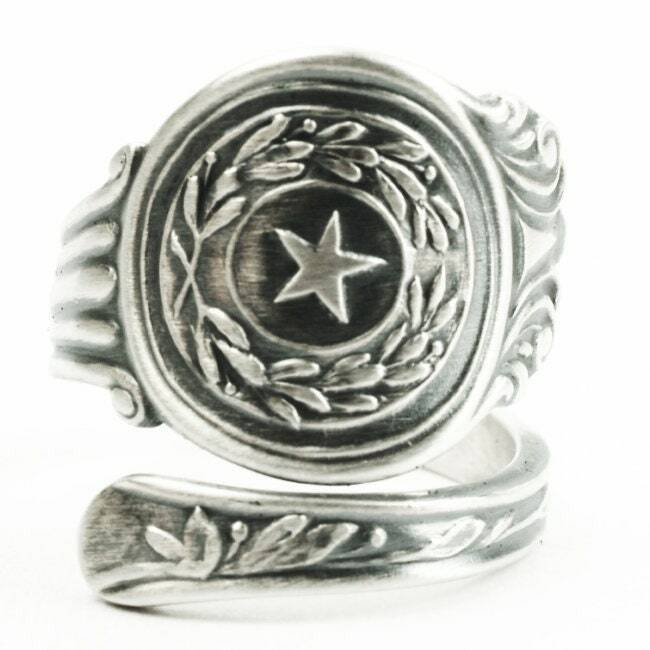 Beautifully detailed depiction of the state seal, and Texas written below. 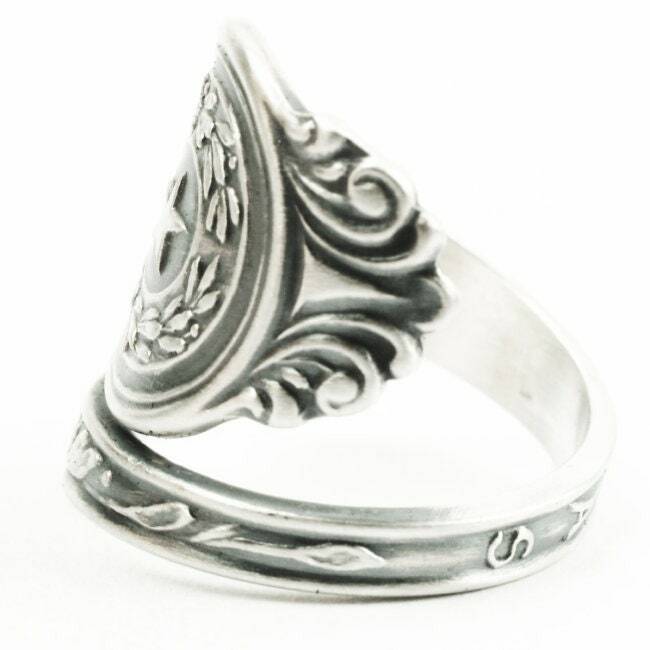 Lovely pattern and strong and sturdy as well. 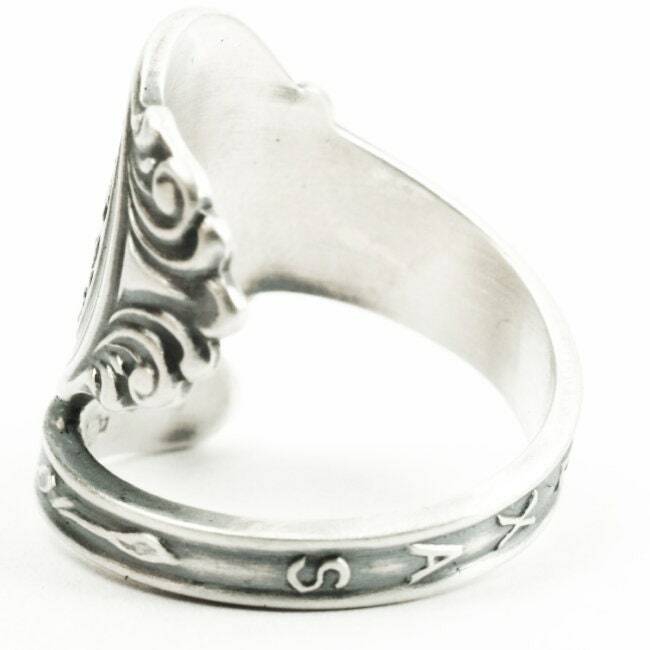 Originally made by Manchester around 1918.